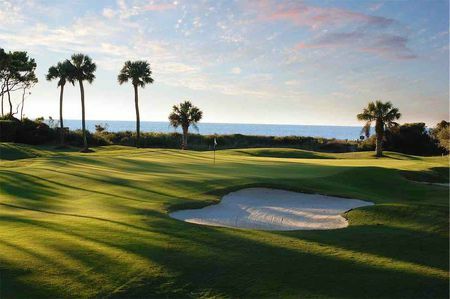 Pete Dye and Jack Nicklaus combined forces to create the Harbour Town course at Sea Pines on Hilton Head in 1969, and it has been the site of a PGA Tour event every year since. Dye and Nicklaus, at that time early in his design career, designed an intriguing layout that calls for precision off the tees, owing to the very narrow fairways, and skill in approaching the diminutive and carefully defended greens. Water and wind are in play on a number of holes. 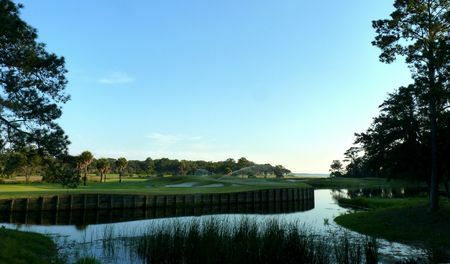 The final pair are especially memorable: the 185-yard 17th is replete with pretty much every hazard the course has to offer, and the par 4 closer, at over four hundred and fifty yards, is defined by wetlands on one side and Calibogue Sound on the other, and lies in the shadow of a lighthouse. 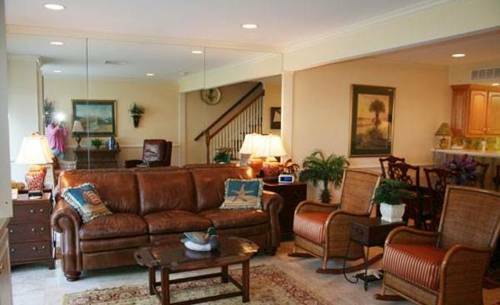 The spacious clubhouse offers vistas of a number of the holes and of the practice facilities. This is not a links course. It is a good traditional parkland layout designed by Pete Dye and it has hosted an event on the US PGA Tour for the last 50 years. The course, which is not overly long, is quite flat and has some but not too many water hazards. Only two holes are next to the Ocean, 17 and 18. The others are lined on both sides of the fairway by pine trees puttning an emphasis on accuracy off the tee. The greens are generally small, some are even tiny, meaning that accuracy on approach shots is vital as well. The greens are true and also quite firm. The signature hole has to be no 18 with the Lighthouse towering in the background behind the green. A beautiful but brutal par 4, with the Ocean alongside the left side, that measures 475 yards from the back tee. From the regular men's tee You need to hit Your drive 200 yards over the marshy water hazard to reach the fairway. From there another long shot over another water hazard is required to reach an incredibly tiny green. This hole is probably one of the most difficult par 4s anywhere, bordering on being unfair. Our excellent caddie, mentioned that Pete Dye has said that: "Golf is not a fair game, therefore I don't design fair golf courses". The 18th is a testament to that. 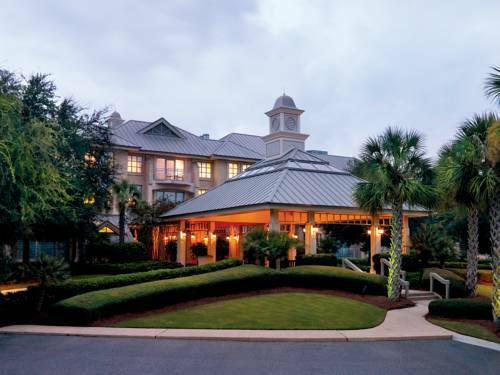 We stayed at the Inn & Club Hotel on the Sea Pines Resort that manages the three golf courses. 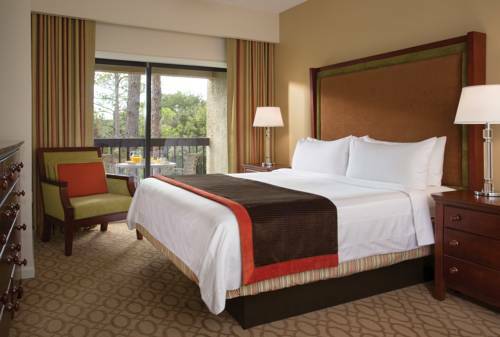 The hotel was very good and the consumer service on the resort was 1st class everywhere. Southern hospitality. 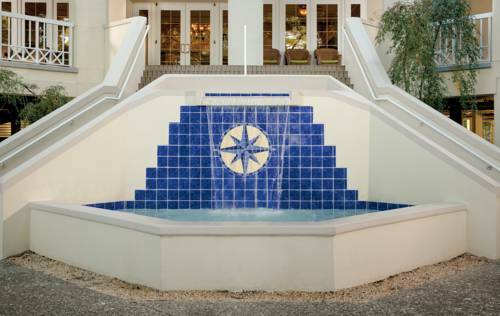 There are several good restaurants on the resort. We dined at the casual Quarter Deck by the Lighthouse and they served excellent meals. What to say ? Played in August 2014, the clubhouse was under reconstruction, so staff cannot be evaluated as there was only a cashier and a starter. As often (always ?) with Pete Dye's design, this is a tough course. And this feeling starts from the 1st tee box with that incredibly narrow fairway. Even if there are plenty of hidden rooms, you won't have a chance to hit the green in regulation if your ball doesn't lie in the middle of the fairway. The sea is only visible on the last two holes, the most scenic ones, with the famous red and white lighthouse behind the 18th green. On a cool, drizzle filled day, I got to play Harbour Town all by myself. Literally. I was the only golfer on the course. It was amazing. The course was perfect, the greens slick, the wind howling, and I couldn't have had a better time.